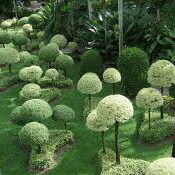 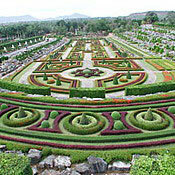 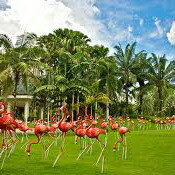 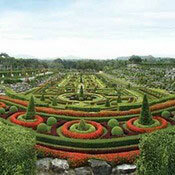 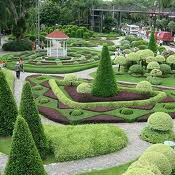 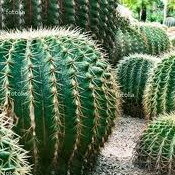 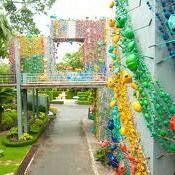 Nong Nooch Tropical Gardens has become one of the most popular attractions in Chonburi Province with its 600 acres of rolling hills and valleys. 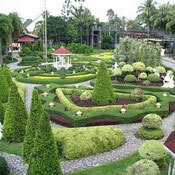 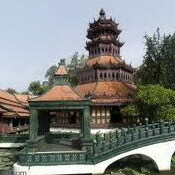 Originally meant for botanical conservation, the garden was later turned into a tourist attraction, fully equipped with Thai style houses, cottages, villas, seminar halls, banquet halls, swimming pool, restaurants as well as other facilities constructed for tourist's convenience. 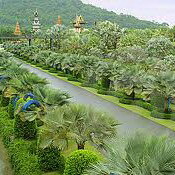 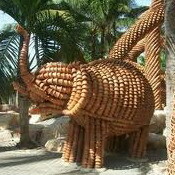 Nong Nooch garden is dedicated to education, preservation, research as well as the conservation of its vast palm collection and other tropical plants. 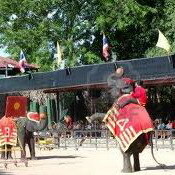 Since its debut as a tourist attraction, fascinating Thai Culture and traditional dances are presented daily in the theater within the garden compound. 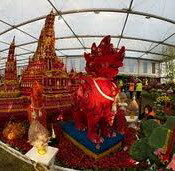 Besides the traditional shows, visitors will have an opportunity to see other performances such as religious ceremonies, martial arts, and The Elephant Show ?�� one of the most popular attractions here. 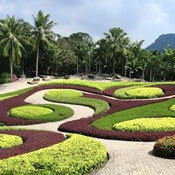 More than 670 native species and hybrids are kept here for breeding and research purposes, together with the largest variety of Orchids in Thailand.